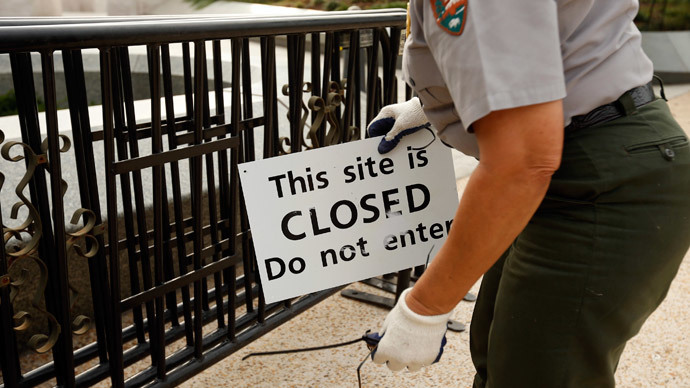 Thousands of federal employees who were forced to work without pay during the last US government shutdown were notified Monday that they can join a lawsuit asking for damages under a 1938 labor law. While some 1.3 million US federal workers were affected, not all will be eligible to join the lawsuit. Those who are eligible have begun receiving emails from the Department of Justice, notifying them that they have 105 days to sign on or forfeit any potential benefits from the judgment. Five-thousand federal workers have already joined the suit after hearing about it through word-of-mouth, according to the law firm Mehri & Skalet, which represents the plaintiffs. The suit was started by five employees of the Bureau of Prisons who sought damages after being forced to work during the two-week shutdown. Though all employees were paid after the federal agencies re-opened, the plaintiffs claim the delay caused them undue hardship and violated the 1938 Fair Labor Standards Act (FLSA). Judge Patricia Campbell-Smith rejected the government’s argument and issued a court order obligating the DOJ to inform the workers of their right to join the suit. However, she also ruled that employees who are exempt from the FLSA are not entitled to damages. The US federal government shut down between October 1 and October 16, 2013, due to a dispute between the White House and the Republican-controlled House of Representatives over the 2014 budget, centering on the Affordable Care Act (Obamacare). Over 800,000 federal workers were sent home indefinitely, while 1.3 million were required to report to work. After an interim financing bill was signed on October 17, the government resumed normal operations. The plaintiffs are asking for federal minimum wage – $7.25 per hour – times the number of hours worked during the first week of October 2013, when their pay checks were delayed. This would amount to $290 per person, plus any overtime due. It is unclear how much of that would go to legal fees. The case is still in the discovery phase, which is expected to end on May 25. Lawyers for the plaintiffs have said they intend to file for summary judgment in June.